This is the strange story of not one, but two Prudential insurance companies, and why the American firm chose Gibraltar as its symbol and slogan. In 1848 the Prudential or ‘the Pru’ was set up in London and came to concentrate on life insurance and a means of saving for professional people and, later on, for the poorer working classes who would pay weekly amounts to agents. It is now a multinational life insurance and financial services company. In America John Fairfield Dryden lost his father when a young boy. As a result of his experiences, he set up an insurance company at Newark, New Jersey, in 1875, based on the principles and name of the Prudential in London. This new company was called the Prudential Friendly Society and sold industrial insurance to help American working families provide against sickness, accident and death. 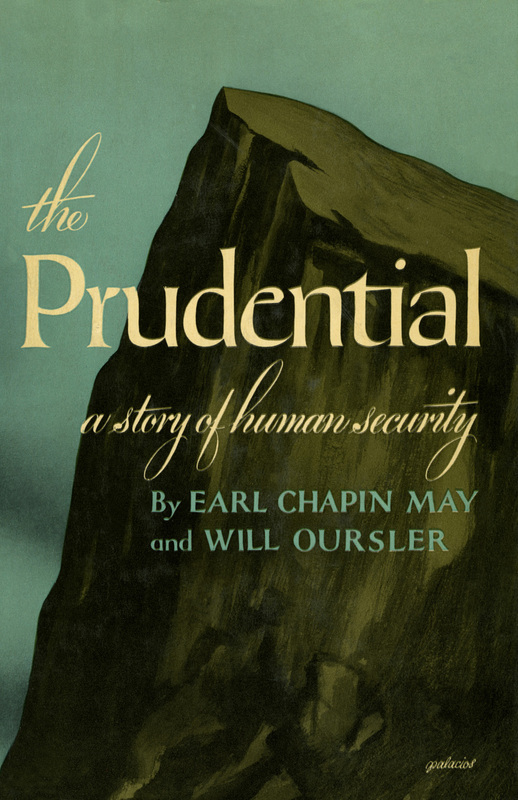 The company’s history is told in a fascinating book published in 1950 by Doubleday – The Prudential: a story of human security by Earl Chapin May and Will Oursler. Its jacket depicts the iconic northern part of the Rock of Gibraltar. The business struggled, and so in late 1876 Dryden went to London to seek advice on how the business operated in England. As a result, the Prudential Friendly Society was refounded on 15th March 1877 as The Prudential Insurance Company of America, which rapidly prospered and expanded in scope. In the 1890s Dryden was looking for a new slogan and symbol, and Mortimer Remington from the J. Walter Thompson Advertising Agency in New York came up with the idea. He devised a symbol based on Gibraltar, because a century after the Great Siege, it was still the most famous fortress in the world. Remington also added the slogan ‘The Prudential has the Strength of Gibraltar’. That was written in 1950, but what is remarkable is that even today Prudential uses a symbol based on the Rock. The advertising agency is also still in existence – J. Walter Thompson (JWT) has been part of the vast WPP Group since 1987. This entry was posted on April 9, 2018 by adkins.